Rotherham Council is set to invest around £4.7m in developing a new caravan site within the popular Rother Valley Country Park (RVCP). In setting its budgets, the authority has recognised that a more commercial approach, focused on income generation and using the borough's assets and resources creatively, will help to ease budget pressures on some front-line services. 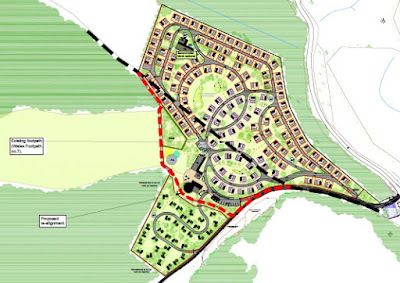 In 2016, Rothbiz reported that a business case was being developed for a touring caravan site in an effort to boost the income of the country park and compliment the plans approved for the £37m Gulliver's theme park on adjacent land. Now a detailed planning application has been submitted by the Council setting out how six hectares within the site could be used to create an attractive caravan site which complements the country park and combines the leisure facilities. Permission is being sought for 129 touring caravans and 34 tent pitches for the exclusive use of holidays and it is proposed that the Greenbelt site is open all year round. The aim is to provide a top quality campsite applying the highest standards to the design (aspiring to match or exceed the AA 5 pennant standard) to ensure the camping experience is one that will bring visitors back to the area. The plans, drawn up by Council architects, also include ancillary buildings for toilets/laundry, a reception building with café and shop, a bike lock up and children's play area. Access will be via Mansfield Road and then Delves Lane. A network of footpaths will connect the various elements of Rother Valley Country Park. 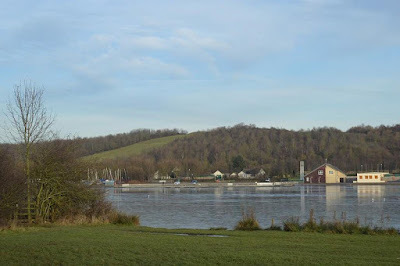 The plans state: "As part of the Rother Valley County Park it will add to the value of the area, its economical sustainability as well as providing an opportunity for further recreational activities." "As part of a wider context including the proposed Gulliver's Theme Park, Rotherham, Sheffield and surrounding villages, it will provide a community resource including improved Public Rights of Way, link into the RVCP and café facilities with spectacular views." On the economic impact of the proposal, the plans add: "Extensive work has been undertaken to develop outline proposals for a new caravan site at Rother Valley Country Park and to assess its business potential. Financial projections suggest that such a development could enable the park to generate a significant net revenue stream and boost future success of RVCP. "Such a facility would make a substantial contribution to development of Rotherham as a tourism destination, stimulating the local economy and jobs, and projecting a positive and welcoming image of the Borough to visitors from across the whole of the UK." Budget documents show that £4,781,000 has been set aside for the project from the Council's capital programme. A long-term loan has been discussed with the repayments and all day-to-day running costs set to be paid for entirely from caravan site income once the facility becomes established. It is proposed that this will be an "invest-to-save" initiative with the income generated when the site opens in 2019 putting £339,000 each year back into Council coffers. The authority has stressed the importance of a caravan site being operational by early 2019 to benefit from the publicity and associated demand arising from the opening of Gullivers in that year. Gulliver's, the operators of theme parks in Warrington, Matlock Bath and Milton Keynes, is purchasing around 250 acres of the restored former colliery and opencast site from Rotherham Council. It is progressing plans for the first of its sites in the UK to encompass all of its major family entertainment elements in one location with new attractions exclusive to Rotherham.